And though we can’t always have that time away when we most need it, how great it is to have spaces that give us that time away even though we are at home, spaces that support us in our efforts to relax, recharge, and clear our minds. After all, nurturing, relaxing, recharging – that’s what our home spaces should be and do for us before anything else. Here are a few spaces that do just that. 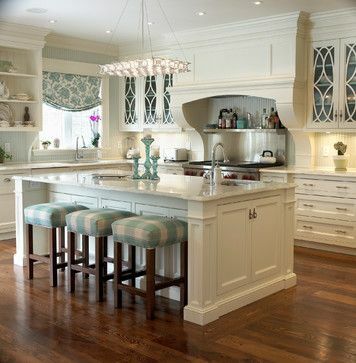 No matter how busy your mornings are, breakfast in this kitchen (by Cheryl Scrymgeour Designs),with its marble countertops, serene white cabinetry and soft blue accents, will definitely deliver some serenity. I love the elegant simplicity of this bath which fills the space with peace and luxury. This cozy window seat (mix&chic.com) gives new meaning to the word “retreat.” Even the architecture of the space encloses you and pulls you in from the “busy-ness” of the household around you. Love this outdoors retreat, surrounded by beauty and tranquility of Mother Nature at her best. And from Barbara Barry, the final word in tranquil interiors, I leave you with this supremely peaceful and serene living room. Hope you enjoyed looking at some of my inspirational “relax and recharge” spaces. Here’s wishing you all the best in creating this kind of relaxing space in your own home. Today I’ve got the “Blues.” But in a GOOD way! Here in Texas in July, we are accustomed to triple digit temperatures that can go on for days, even weeks at a time. Now I love summertime as much as the next person, but think about it: 100+ temps….. – days on end…. – yeah, it can be pretty exhausting! That’s why I am so excited that over the last few days we have had RAIN!!! High temperature a few days back – somewhere in the 70’s (I think it was a new record low “high” temp for the date here in Dallas.) And blue skies! Not sunshiny blue skies, but those gray-blue skies that come before, during and after a soft, gentle rain. My mood, my attitude, my whole outlook on life – they all just took a deep breath, exhaled, then dialed it back a notch or two. Something about those blue gray skies can just slow you down, snuggle you up and give you the energy for a re-start, all at the same time. That must be why I love those beautiful blues in luxurious bedrooms. Here are a few of my favorites for your enjoyment. Bathed in this soothing shade of blue along with glam furnishings and accessories, this bedroom is the perfect relaxing retreat. Love the “pops” of pink! They absolutely make this room. The blue and white damask wallpaper and layering of fabrics and patterns create the story here. Clean, crisp, a touch of “formal”, but, oh, so inviting! 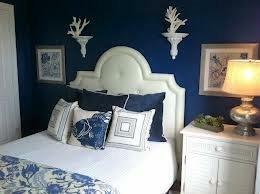 And after a relaxing day at the beach, a relaxing evening in this gorgeous beach bedroom! One of my favorites — I can see a rainy afternoon, a book, …. 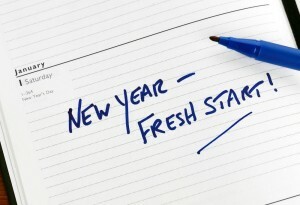 I love New Year’s Resolutions, goal-setting, re-evaluating, “re-do’s”, “Let’s try it agai occasions when we realize that even though we mess up, make mistakes, misjudge, get side-tracked, we all have the opportunity to push that imaginary “do-over” button and go again. For some years now I have allowed myself a six-month “re-boot” around the beginning of July to check in on my goals, commitments, etc. Maybe it is because my birthday is in July, so it truly is the beginning of a new year for me. Or maybe it’s because it marks halfway through the calendar year, a good time to check in and see where we are on all things “goal” and “planning” oriented. And, I think, when July rolls around on the calendar, I instinctively start thinking of summer’s end, fall commitments, cooler weather, holidays – a new forward focus for the rest of the year. 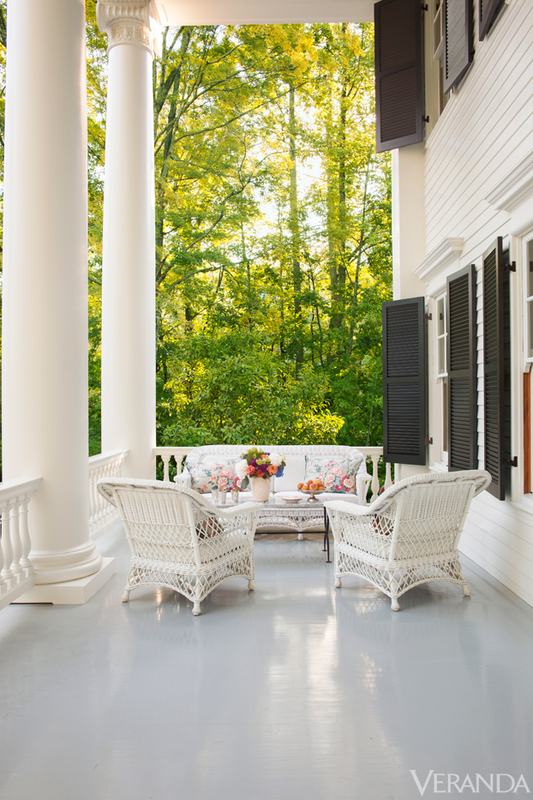 So it is entirely appropriate that this month, July, 2013, marks the re-launch, renaming, rebranding, of Patti Allen Interiors (formerly McConnell Allen Interiors.) As most of you know, I AM Patti McConnell Allen, so we really are the same – same people, same company, same purpose. But after realizing over the years that McConnell Allen Interiors could sometimes be confusing to you all (Common question – Who is McConnell?) I know this is the right time to change the name to Patti Allen Interiors and end all the confusion. I have spent no small amount of time trying to find the niche that appropriately describes what Patti Allen Interiors is about. And this specific niche has really been following me, peeking around the corner, hinting to be discovered, teasing me by being so obvious and at the same time well-hidden, for quite some time. 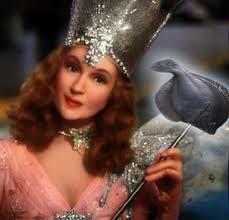 As Glinda the Good Witch told Dorothy in “The Wizard of Oz” – “You’ve always had it, my dear.” And I truly have. A few years ago, when my older daughter, the oldest of my three children, moved away to college, I came face to face with the reality of my “emptying nest.” Although I have a busy life with work, friends, and family, I realized that I had, for a long time primarily defined myself as “mom” to my at-home children. It took a while to be comfortable with the fact that this chapter of my life is closing. Moving forward, defining what the next chapters in my life will be, has taken some thought, effort, and time. Now I look forward to those next chapters of my life with renewed energy and excitement, but I remember the pause, the hesitation, as one chapter ended and I faced the unknown of what was ahead. Your experience is quite probably different than mine, but I think it’s safe to assume that we all at one time or another find ourselves in life situations we didn’t really plan or think about, a new baby, an “emptying” nest, retirement, losing a spouse through divorce or death, a new marriage, a blended family. 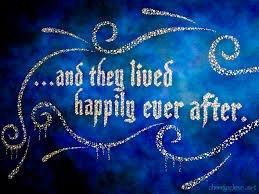 So what happens after “happily ever after,” after the last chapter you envisioned in your plan of your life? The answer is – whatever you want! 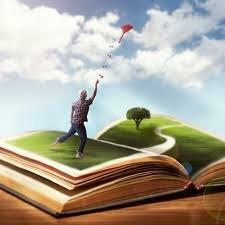 And that is exactly how I came upon this niche – by realizing that life, everyone’s life, is a volume of sequential chapters, each one related and connected to the others, but at the same time, new and fresh. 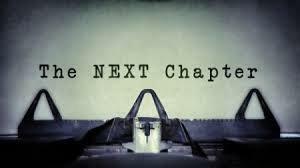 Just because we have reached the end of one chapter, and even if it is the last chapter we planned, the chapter we never thought to plan beyond, it doesn’t mean “The End.” Rather, it is a new beginning, a new adventure, a new chapter. So here’s to the next chapter in all of our lives. 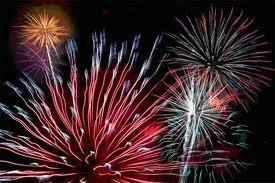 May it be the best one yet!